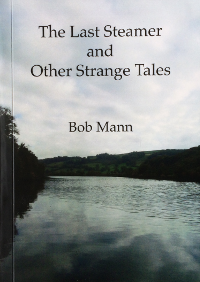 For several years, Totnes writer and Longmarsh Press founder Bob Mann has given to friends and family a short story at Christmas, instead of a card. These are mainly of a supernatural nature and are firmly rooted in his knowledge of the locality and its history and culture. Now he has decided to share some of them with a wider audience. The Last Steamer and Other Strange Tales contains weird visions, disturbing ladies, long-vanished music and mysterious time slips, mainly set in recognisable buildings and terrains.